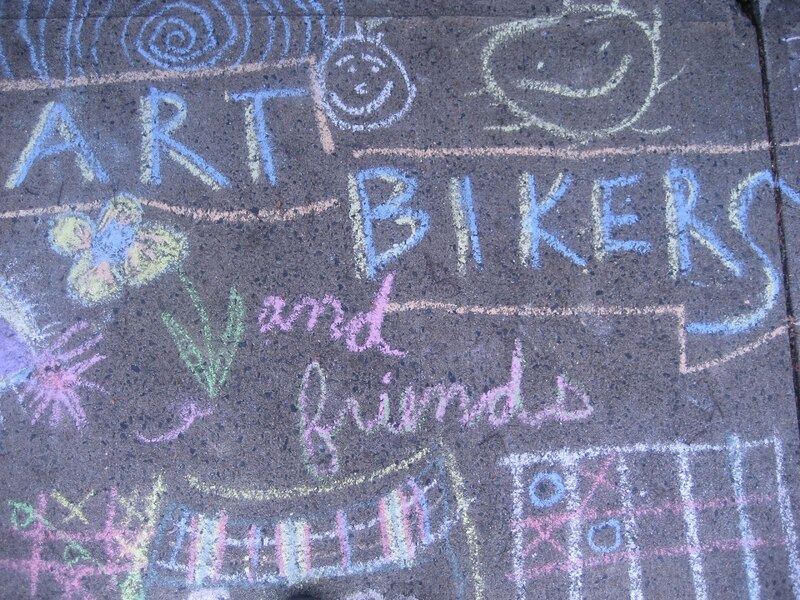 This year we are happy to be working with ISIS, introducing the Art Bikers to a whole new community of friends! Our first project was to create family banners to mark the plots at this sweet, street-side community garden. This is an amazing neighborhood of mostly new immigrants who don't yet speak english, and for many it was their first time using paint! It's amazing how art builds bridges between us all!